At the finish line! Saltholme RSPB. 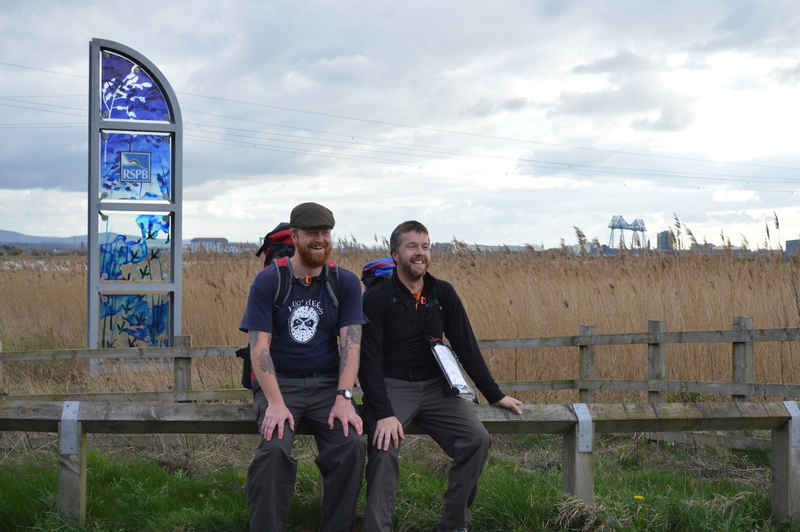 Covering the 300 miles – in 13 days – for Turtle Doves remains one of the proudest moments of my life. I’ve set this image as the screen saver on my laptop. A daily pep-me-up when I get into the office each morning! Having got over the physically of the actual walk, the talks and press I almost forgot the ongoing legacy of Dove Step! 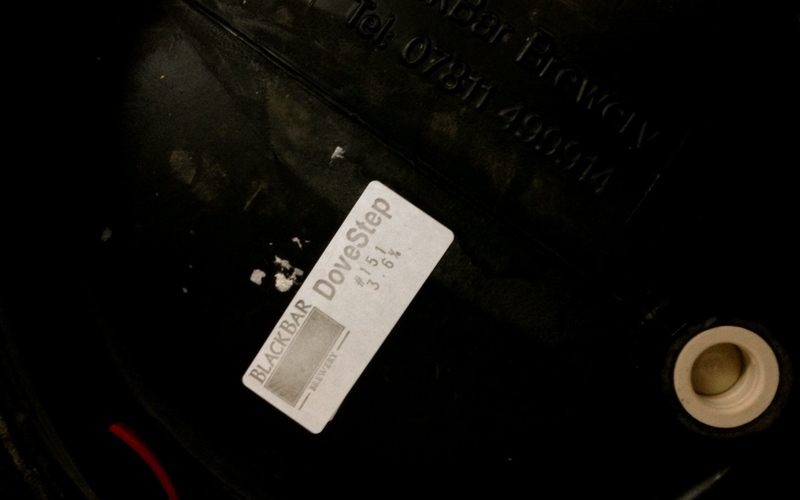 Firstly, you can buy Dove Step beer! 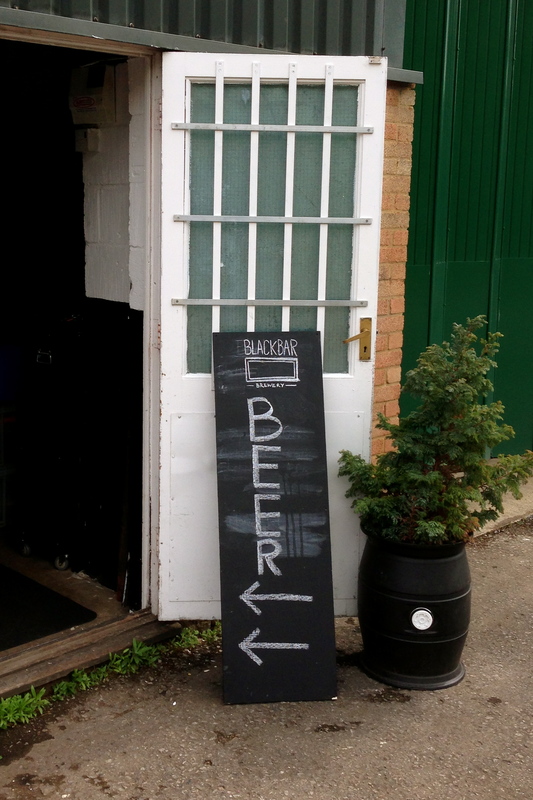 You can buy Dove Step beer from BlackBar Brewery direct on their open days (see leaflet below) and take it home for your evenings relax or the upcoming BBQ season! I can vouch for it as Rob and myself took opportunity to visit the brewery this weekend. In addition it will be on sale in 3At3 Deli and Cafe Ely and also Beautiful Beers in Bury St Edmunds. 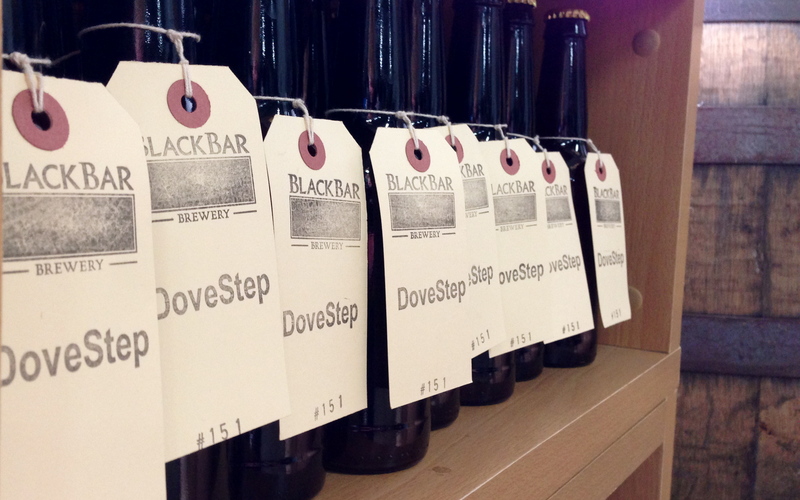 Be sure to keep an eye on the BlackBar Brewery website and Twitter feed for further outlets and which pubs will be hosting Dove Step beer over the coming weeks. 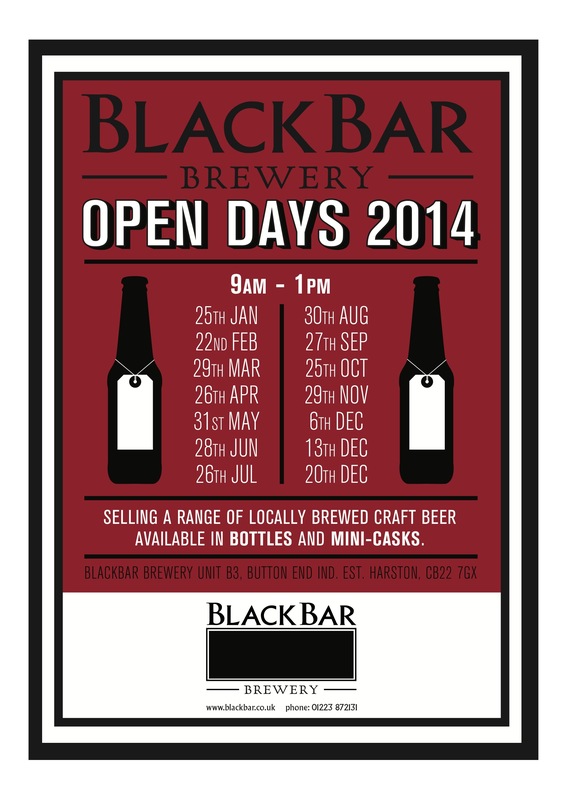 BlackBar Brewery Open Days 2014! Get some! Entrance to the beer cave! Dove Step beers! Lots of them! 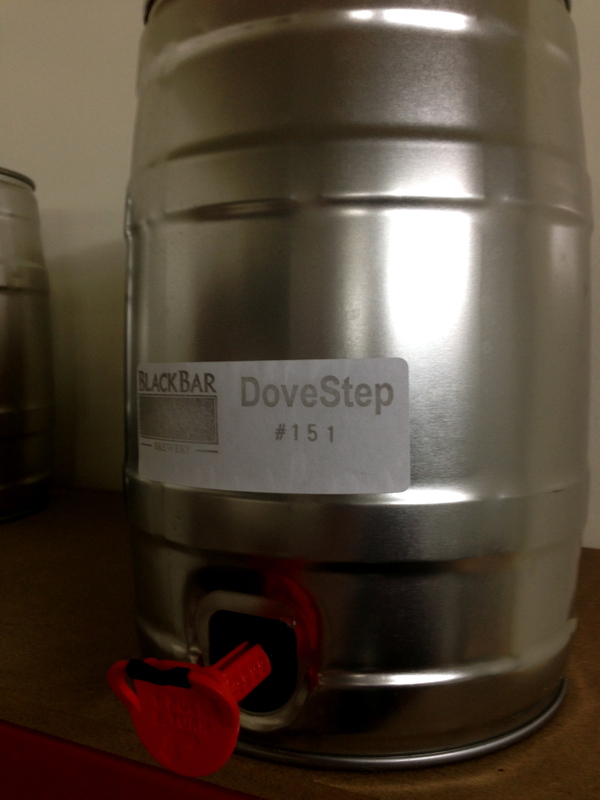 Dove Step beer – in a cask! 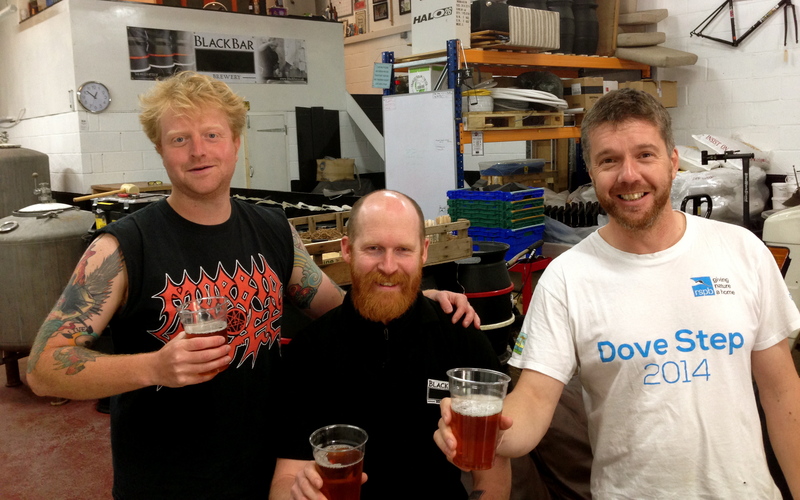 From right to left Sir Robert Yaxley, Mr Joe ‘beer god’ Kennedy and myself Jonny Rankin. So, that is your bank holiday beer requirements catered for! When we arrived at Saltholme there was a pack of Jordans cereal products waiting for us c/o Conservation Grade. Jordans are one of the Fair to Nature Brands which you can choose to purchase with your weekly shopping. These products are produced to Conservation Grade Standards which are Fair to Nature. Essentially produced on farms that are managed to be more biodiverse, to the benefit of farmland species, including birds and of course Turtle Doves! 7 hectares (70 000 square meters) of habitat creation sown with Turtle Dove mix. At the time of writing the fund raising total stands at £2376.66! Having risen significantly again since my last post. The JustGiving page is still live should you wish to visit or share with friends. In summary Sir Robert, Andrew and myself are delighted with how Dove Step turned out. We feel we have created the best platform we could to further raise awareness and funds for Operation Turtle Dove and undertake new challenges. Talking of challenges we have an absolute monster in the planning for 2015! I’d like to once again draw attention to the thank you post and we look forward to rekindling the Dove Step journey next year.